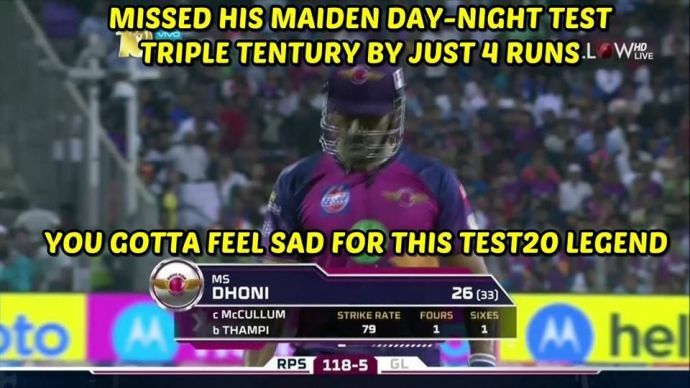 Even Though Pune Won Yesterday's Match, Dhoni Was Trolled For His Painfully Slow Knock! While Ben Stokes did wonders and helped Pune in winning a crucial game against Gujarat, MSD’s painfully slow knock hasn’t gone well with his critics. 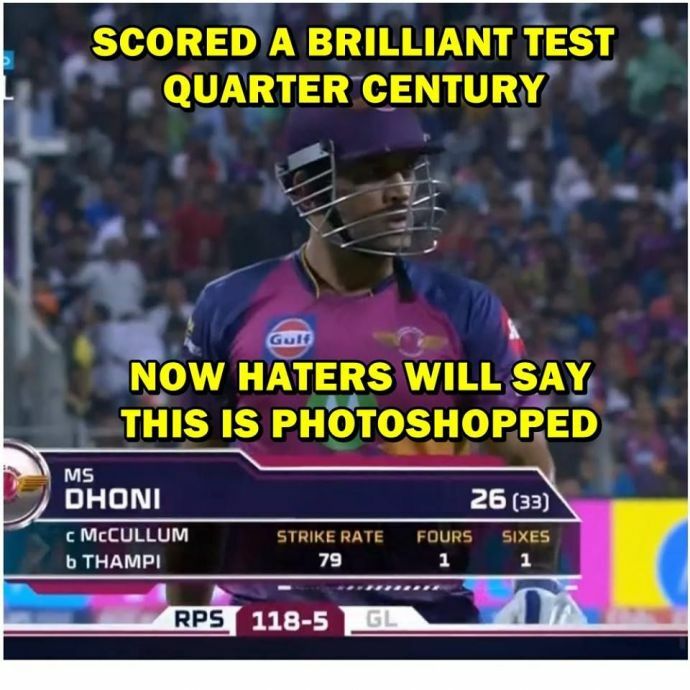 If you’ve watched yesterday’s IPL match played between Rising Pune Supergiants and Gujarat Lions, you might have found something strange about Mahendra Singh Dhoni’s innings. Dhoni took charge when the top four batsmen were declared out at the scores of 4, 6, 4, 0 respectively. His partnership of 76 runs with Ben Stokes helped in getting to the target. 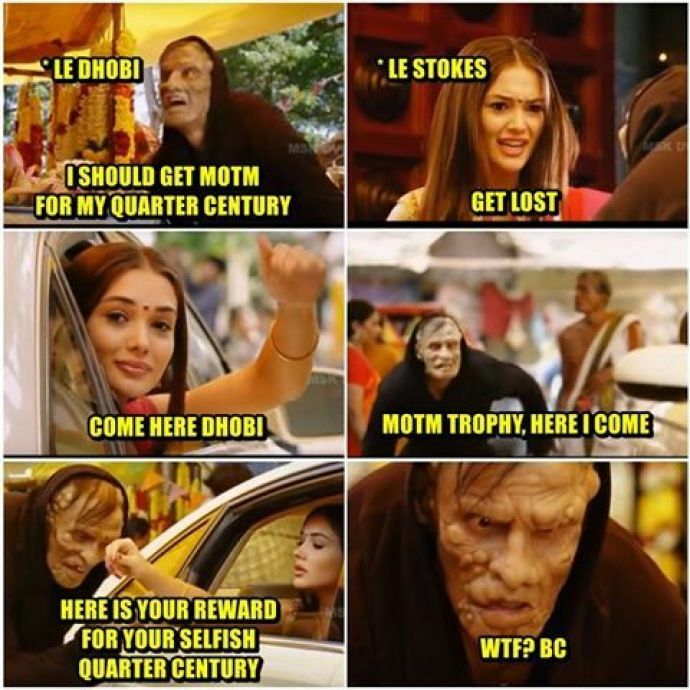 After MSD’s dismissal, Stokes picked up the pace and scored a century. Eventually, Pune won the match! 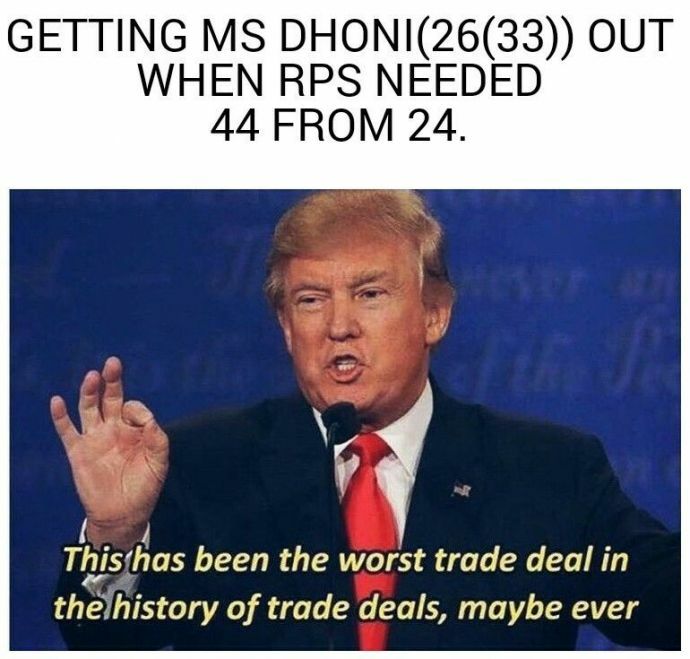 While Ben Stokes did wonders and helped Pune in winning a crucial game against Gujarat, MSD’s painfully slow knock hasn’t gone well with his critics. 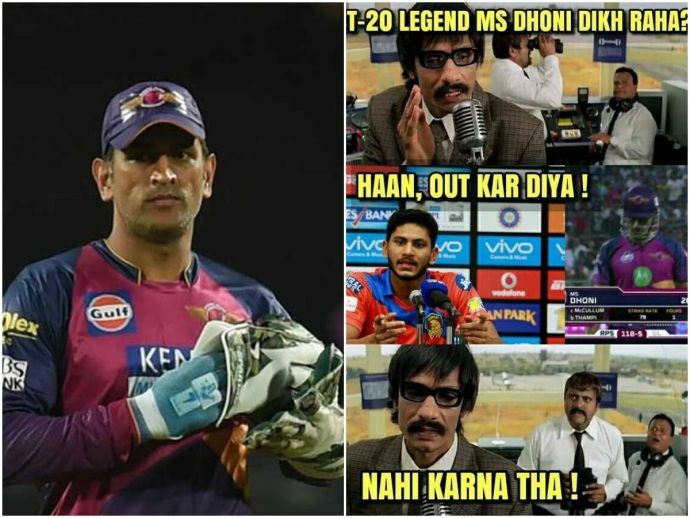 An unabashed Dhoni hater took trolling to another level when he came up with a Facebook page called ‘Dhobi: The Fake Finisher’.